Are you a fan of ‘peaty’ whisky? Do you crave for those smoky, intense flavours no other whisky can provide? Or do you have someone in your life that answers to this description? If the answer to any of these questions is yes, then you are in exactly the right place! The Islay Festival of Malt and Music (Fèis Ìle) takes place during the last week of May every year. 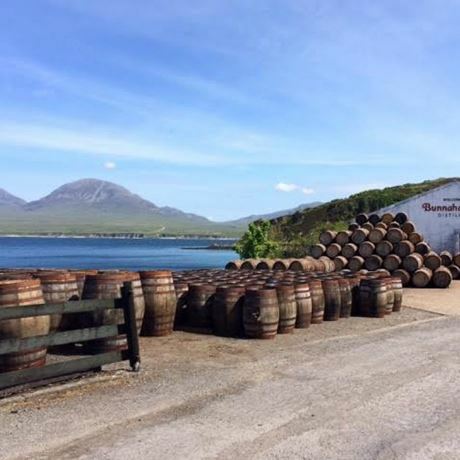 It is a 10-day-long celebration of all things Islay, with each distillery having a special day in which to shine and welcome thousands of visitors. The distilleries also launch a special festival bottling (or two) during this time, many of which are only available to people who make the pilgrimage. Happily (or not), you don't have to travel all that way in order to taste these awesome whiskies. For this hotly anticipated series, we bring a selection of these bottlings to you! This tasting is a one-off chance to try some incredible drams that you might not get to try again.